I haven’t had a chance to wrap up the Brown Water before now. We were on a cruise to Alaska and then my two months out of warranty hard drive failed. Monday, July 8th was officially the last day of the 2013 Brown Water Run. When we settled down the night before, the Bison Fire was raging east of us. The distance that the fire covered was astonishing. I’m glad I was a police officer and not a fire fighter. I will never comprehend how a sane person can put themselves in front of a moving fire. To all Fire Fighters – Thank you for your service. Here is a quote from one of our riders, “This is a fast-moving fire.” Jeff Zolfarelli – Fire Chief (Retired). Personally I think all fires are fast movers and should be avoided. Monday started poorly. First, the Bison Fire continued to grow. The Motel 6 staff told us, “We don’t put out coffee until 7:00 a.m.”. We had two motorcycles down. 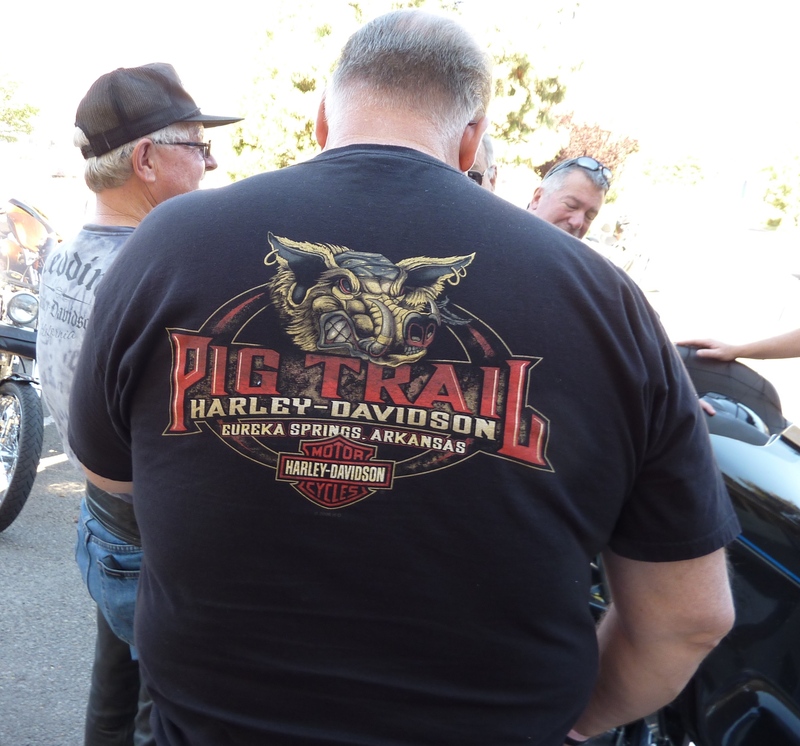 The Harley people told Keith Wallace that his problem was the stater. They couldn’t get one in for a day or two. Fred Sicard had to wait for the service department to replace his tire. 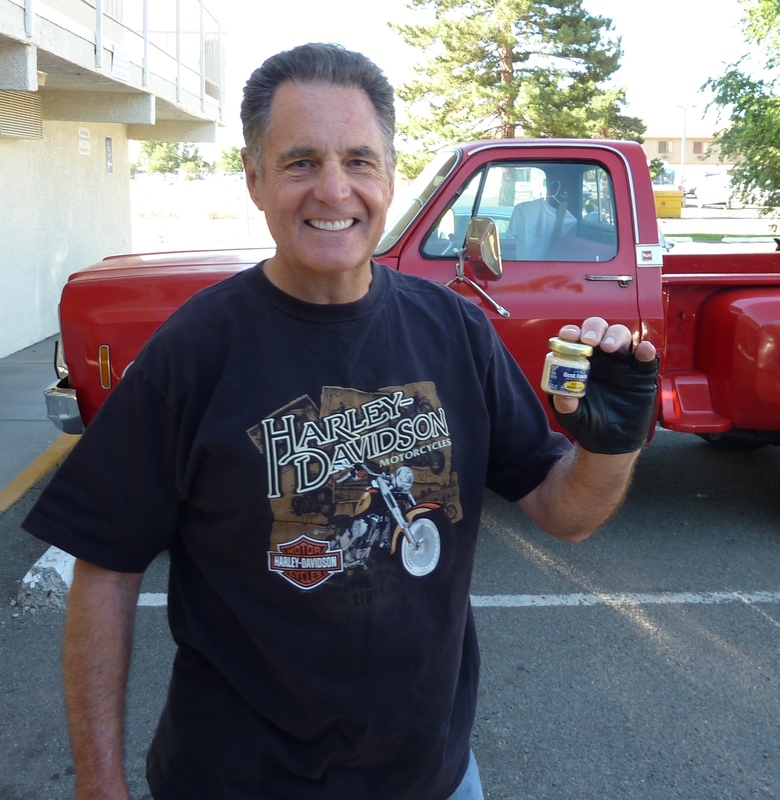 When Keith got back to Arizona he raised cane with the Harley-Folks who had “fixed” his electrical system. It turns out that it was the regulator, not the stater. Carson City had regulators in stock and could have fixed the bike. I believe they returned his diagnostic fee. 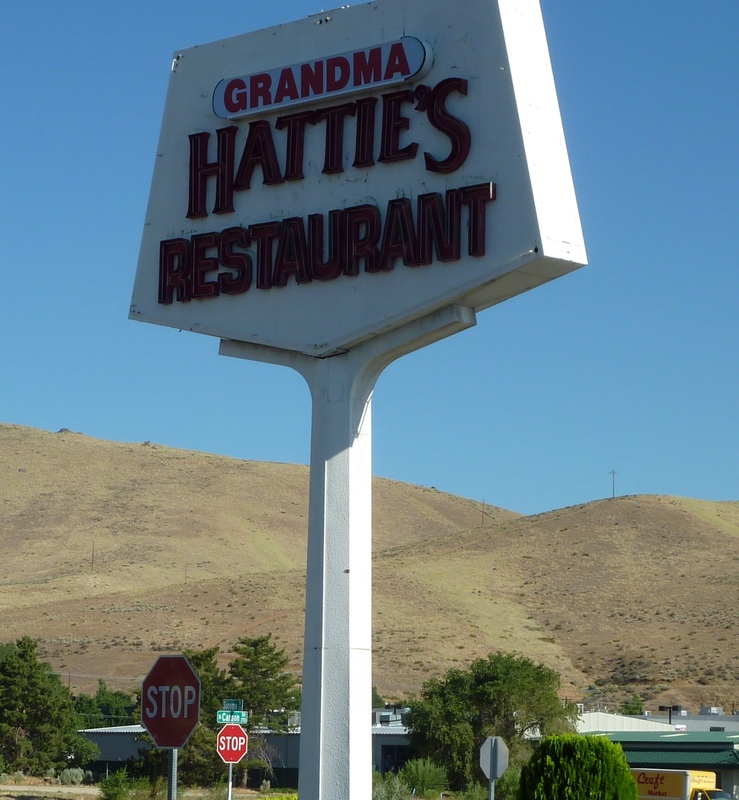 Fortunately Grandma Hattie’s was just across the parking lot. We trooped over and had coffee and breakfast. Paul Wallace had our waitress deliver a jar of mayonnaise to me. I HATE MAYONNAISE. This wasn’t just any mayonnaise, it was from 2003. He had saved it since I was airlifted out of the Oregon Mountains to the hospital in Medford. What a guy. After breakfast we loaded up and prepared to go our separate ways. 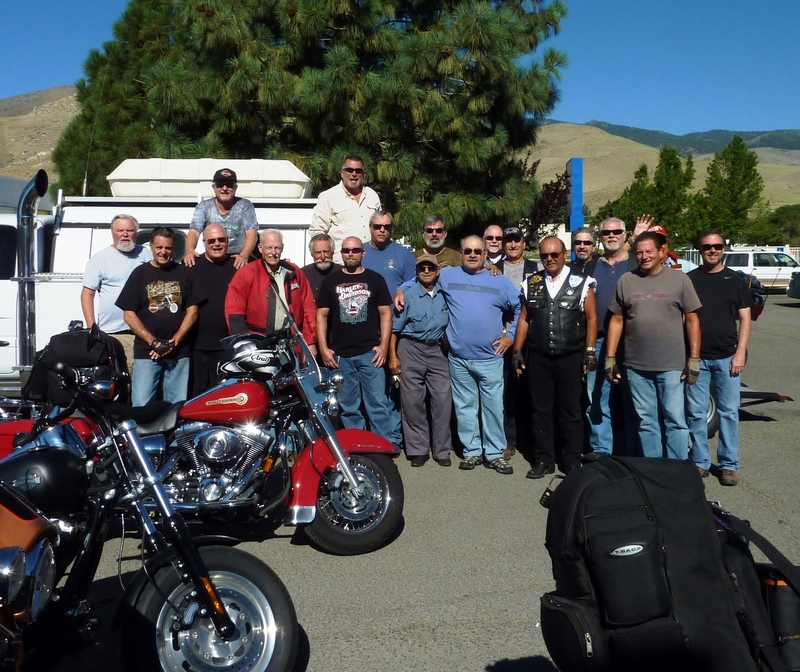 The Los Angeles riders headed over to Carson City Harley to wait for Fred. Later they enjoyed a great ride over the Ebbetts Pass Scenic Byway, State Route 4, before spending the night in Fresno. Some BWR riders took US-50 back to the Bay Area. Jim Kennemore took I-80 over Donner Summit. For a “slab” it’s not a bad ride. I headed to Las Vegas to attend the Public Safety Writers Association Annual Conference. As much as I enjoy riding with a group, solo riding is a delight. I took US-50 through Dayton Valley to US-95 south to Las Vegas. 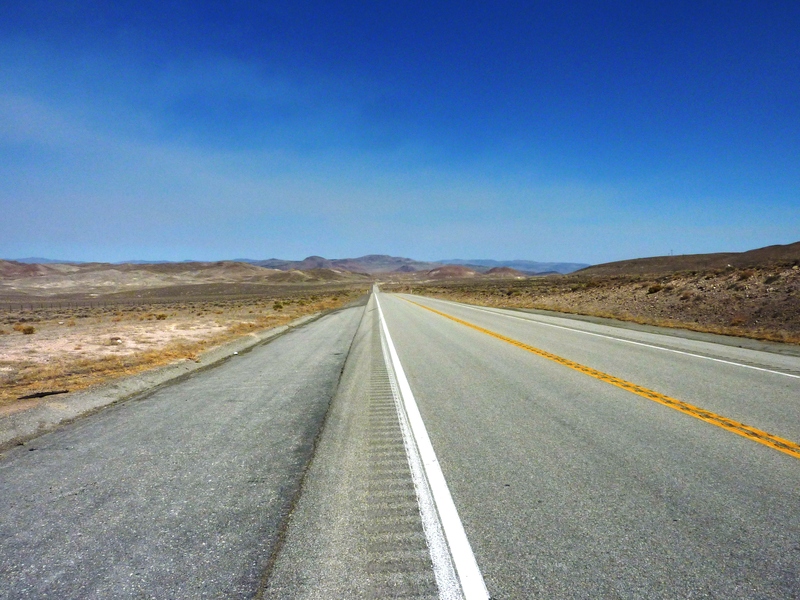 Last June, Jim Kennemore and I were on US-95 up in Idaho. This section is desert, but in its own way, just as scenic. 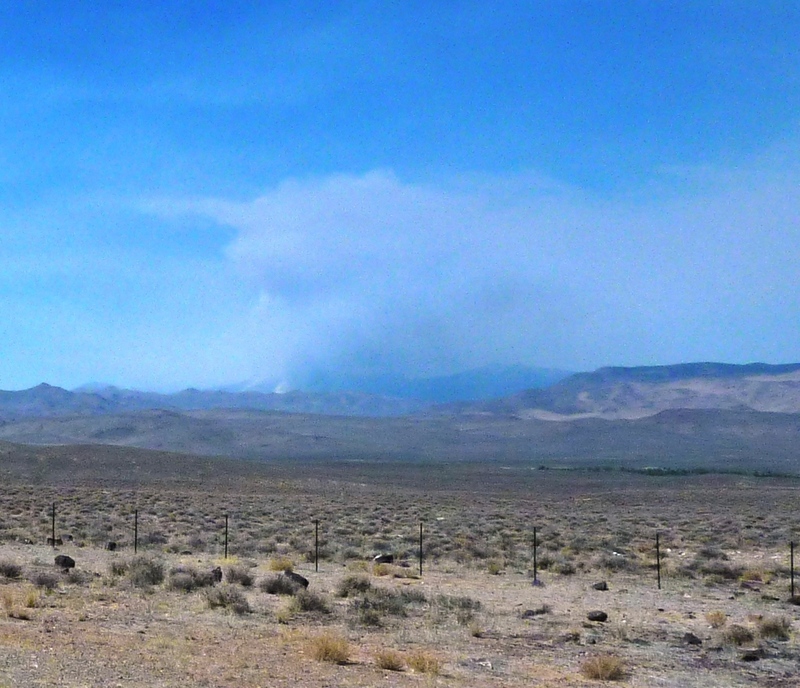 The Bison Fire was visible looking west, the reverse view of what we had seen the night before. The fire destroyed great tracts of mountain terrain. 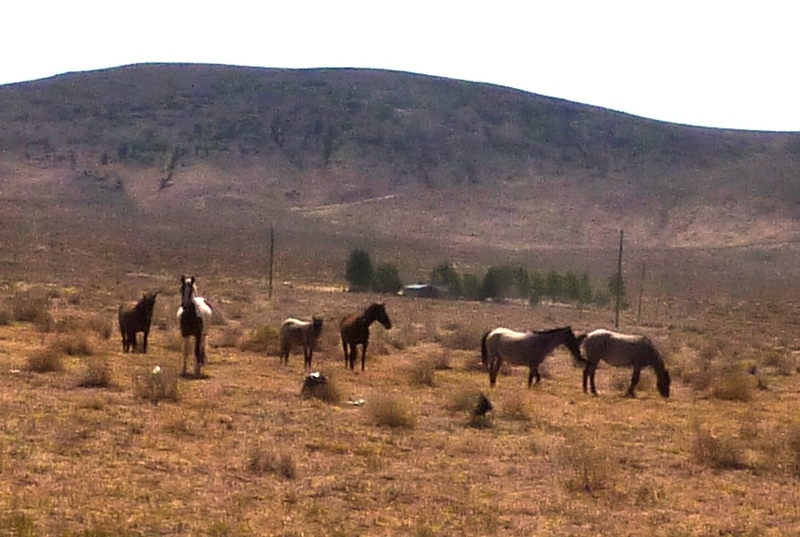 Wild horses are not uncommon in areas of Nevada. While this looks to be a rural range, it wasn’t. The west side of the road is wide open with no fences, the east is not. I pulled to a stop and took this shot from about fifty yards. On the east side of the highway were several gas stations, stores, and fast food restaurants. The horses did not seem to have any interest in me or the Ultra’s loud pipes. I spent the night in Beatty, Nevada and was in Las Vegas by noon on Tuesday. Passing Creech Air Force Based I saw three or four remotely piloted aircraft systems flying in the area. Most of us refer to these devices as Drones. They were bigger than I had imagined.